Summer is right around the corner, which means it’s time to add some summer-friendly apparel to your wardrobe. Summer means bright, flashy pieces and lightweight wear. Bring on the sunshine! Maxi dresses are one of the greatest parts of summer. They’re lightweight, comfortable, and isn’t ultra revealing, making it the perfect day-to-night look. This summer, floral patterns are all the rage, so both of these dresses perfectly fit the bill. Get the Cynthia Steffe dress here. Get the Urban Outfitters dress here. I am not a huge fan of open-toed mules, or mules of any kind really, but what’s in is what’s in. Who knew cork and lack of ankle support would come back from the early 2000s? Get the Stuart Weitzman pair here. Get the Sam Edelman pair here. I have to say, I was way ahead of this trend. Back in 2011 I bought the cutest sequined minidress that lives in my closet to this day. The sequins can do some serious damage to the inner parts of your arms, but that’s a small price to pay to shine like a diamond. Get the Alice + Olivia dress here. Get the Jump Apparel dress here. The whole faux-athletic look is very in this year. I am not a huge fan of most of the offerings (think fake jerseys and mesh crop tops) but these varsity-style bomber jackets are pretty tight, and surprisingly, the much cheaper one is a lot cute. Get the A.L.C. Jacket here. Get the Pam & Gela Jacket here. It’s really no surprise that wide stripes are back, what’s summer without a few nautical looks thrown in? It’s widely known that stripes aren’t the most flattering pattern, but the wider the stripes, the smaller the waist, so I am for these cute tops. Get the Acne Studios Sweater here. Get the American Apparel Top here. I love leather anything, so I am pretty pleased that it has now come in crop top form. The top on the right, that isn’t beyond skin tight, even leads me to believe that non-super models can wear this rocker look. Get the Alice + Olivia Crop Top here. Get the Cusp by Neiman Marcus Crop Top here. Who would have thought that graphic tees would make a comeback? I would have saved all of my ridiculous A&F summer tees. Get Frenchy with these tops, though I suggest just buying a ticket to Paris instead of getting a tee that costs almost $200. Get the Edward Achour Tee here. Get the Forever 21 Tee here. I am just going to say it, I hate fringe. I feel like if I had either of these vests I would just sit around braiding it the whole day. This is the prime example of festival fashion infiltrating the real world. Get the MICHAEL by Michael Kors Vest here. Get the Urban Outfitters Vest here. I am loving the bright colors, mostly because I rock neon whether or not it’s on trend. I have never been much of a romper-wearer (the amount of effort it takes to use the restroom is unreal), but the Ted Baker number is making me rethink that. Get the Ted Baker Romper here. Get the Bebe Romper here. White pants, especially of the linen variety, just scream summer. Their only downside is the fact they they will get stained almost instantly, but you can’t beat the comfort level of essentially wearing sweatpants in public. Get the Vince pair here. Get the Vince Camuto pair here. The 90s called, they just dropped off acid-washed jean jackets. 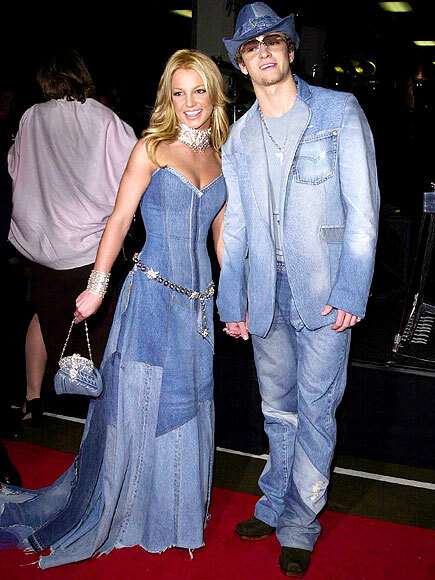 I am not a huge fan, but that’s mostly because I think they’re a bit heavy and the risk of pulling a “Justin & Britney” is just too high with jean jackets. Get the AG by Adiano Goldschmeid “Robyn” Denim Jacket here. Get the Hinge Denim Jacket here.